and other markets are adapting these networks to improve efficiency, cut costs, track assets, strengthen security and monitor the environment – and creating new use cases and revenue streams at the same time. 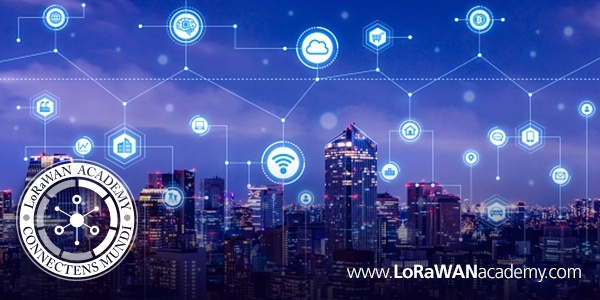 Deep indoor IoT connectivity is an obvious benefit of LoRaWAN™ networks, because this solution allows fine-point customization that penetrates closed spaces with thick walls and floors, and positions gateways where they can function most efficiently. Some LoRaWAN private networks require both indoor and outdoor connectivity powered by multiple gateways to handle LoRa-enabled data from so-called “slave” gateways, and concentrate it in a single place, a “master” gateway, which usually is placed indoors, potentially close to the operations center for convenient access. Kerlink’s multi-gateway LoRa-based management solutions overcome two challenges for LoRaWAN private networks IoT users: their simplicity eases decision making and network design, and their streamlined design and installation help users avoid the lengthy and complex process of deciding how to proceed before, during, and after deployment. This lowers their upfront investment and helps them adapt to business cases. In addition, small private networks using LoRaWAN SPNs can reduce the need for extensive cybersecurity and Cloud storage, which add costs and slow down deployment. Kerlink’s Wanesy™ Small Private Network (Wanesy SPN 2.0) is the entry-level management solution for simple and economical network setup for indoor and mixed indoor/outdoor use. Based on its highly intuitive graphical user interface, Wanesy SPN 2.0 allows users to speed-up deployment, optimize network operation and maintenance, and quickly put their data to work. The platform can support up to 20 carrier-grade Kerlink LoRaWAN Wirnet™ Stations and Wirnet iBTS carrier-grade outdoor gateways, or Wirnet iFemtoCell gateways, specifically designed for indoor applications to ensure reliable performance in demanding environments, such as basements, underground parking, elevator shafts, and even mines. Wirnet iFemtoCell gateways also can provide additional coverage in buildings to densify public network availability and ensure service continuity. Easy to configure, they offer multiple options for backhaul, including Ethernet, Wi-Fi, or cellular. Wanesy SPN 2.0 is fully integrated in the gateway’s firmware, eliminating the need for Cloud storage and a more complex network design. Wanesy SPN 2.0 typically is used to power enterprise applications like asset tracking, energy-consumption control, security enforcement, and other operation-critical uses. In applications spanning the spectrum of smart IoT deployments, Kerlink LoRaWAN SPNs easily collect data and run it in real time or in post-processing to tune use cases and business models. Later on, once the business case is consolidated, and connected end-device volumes ramp-up, users can switch to a more carrier-grade core network and operations-management solutions, like the Kerlink Wanesy Management Center, in full confidence from both a business and a technological perspective. Kerlink is a corporate sponsor of the LoRaWAN Academy, providing indoor and outdoor LoRaWAN gateways for network packages used in LoRaWAN Academy coursework.